Although you can’t smell it… or taste it… or see it… radon is a naturally occurring gas in our environment. Radon comes from the radioactive breakdown of uranium in soil, rock and water and gets into the air you breathe. The inhalation of radon is the second leading cause of lung cancer deaths in the United States. It typically moves up through the ground to the air above and into our homes through very small gaps or cracks in the foundation walls and basement floor slab. Your home traps radon inside, where it can build up. 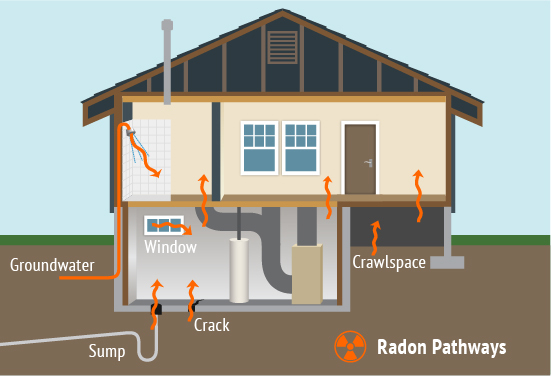 While radon problems may be more common in some areas, any home may have a radon problem. 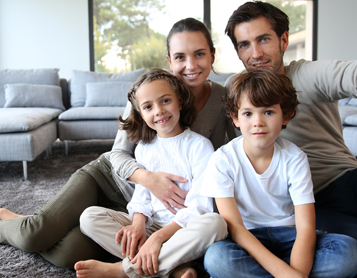 Testing is the only way to know if you and your family are at risk from radon gas. The Surgeon General and the U.S. EPA recommend testing all homes for radon. Testing is inexpensive and easy. If an elevated level of radon is found in your home, it can be corrected. Radon reduction systems work and they are not too costly. Some radon reduction systems can reduce radon levels in your home by up to 99%. Even very high levels can be reduced to acceptable levels. Wise Home Inspection will test your home for radon using a Sun Nuclear Model 1030 radon monitor. This monitor is calibrated on a yearly basis and is approved by the EPA. It will be placed in your home in an appropriate location for approximately 48 hours. When the test is complete we will email you a PDF report of the results shortly thereafter.